A traditional communion service of about 45 minutes usually led by our vicar Rev. Dave Bell. On the 3rd Sunday of the month a junior church is held in the vestry during the first part of the service. 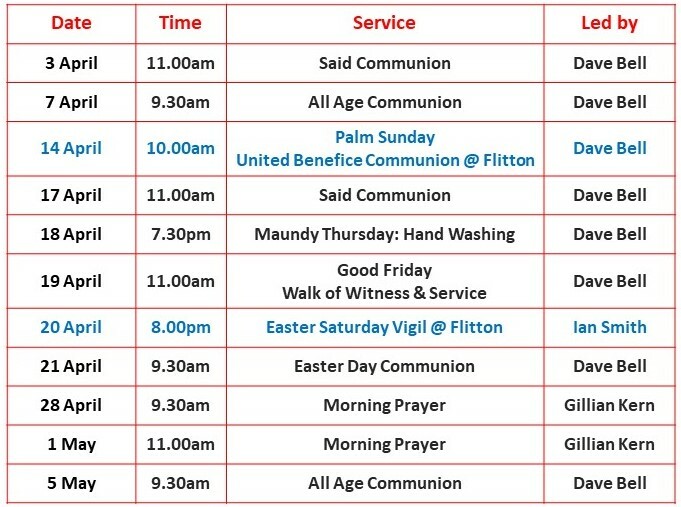 A shorter communion service specifically designed for both adults and children. A relaxed service often with a lively, specific theme when families can come together with other members of the congregation and introduce children to worship. Held on the first and third Wednesday of each month and includes a discussion on a bible reading before a short said communion service. Refreshments are served following every service and is an ideal time to chat and catch up with friends and visitors. The Service Sheet each week includes a Prayer List containing the names of people in the community who are sick. If you have someone you would like included on the Prayer List, please let the Churchwardens know by Thursday each week. During the week, or before a service, prayers can be offered by writing them on a slip of paper and then putting the slip in the Prayer Box. 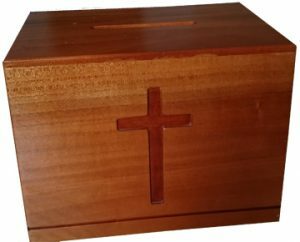 On Sunday, during the first hymn, the Prayer Box is brought forward, received by the vicar and placed on the Altar as a sign that all the prayers in it are being offered to God. The slips of paper are removed from the Prayer Box after the service and destroyed; no-one reads them and all prayers placed in the Prayer Box remain private and confidential. The Prayer Box can be found at the back of the Church on the right-hand side (if you are standing facing the Altar).